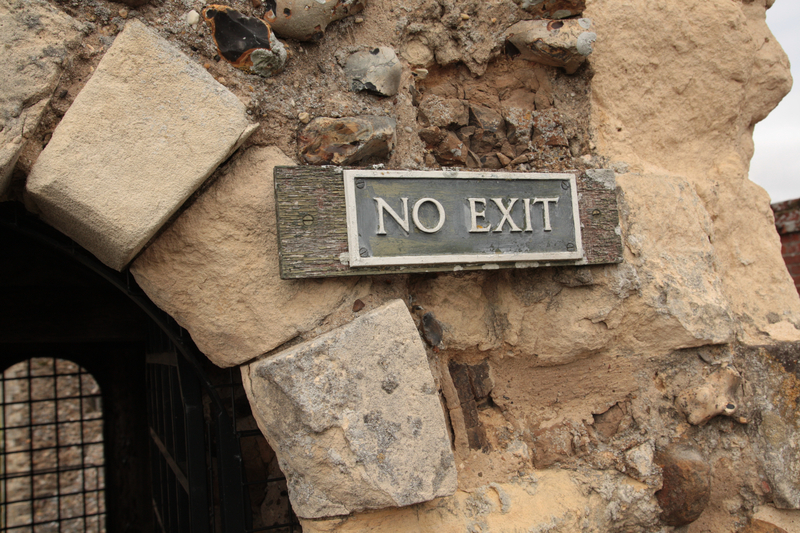 One of the Ministry of Works signs at Framlingham Castle in Suffolk is easily overlooked. (And I am grateful to one of the custodians for pointing it out to me.) There is a one way system in operation on the ramparts: you enter via the shop (and up a staircase) and exit through the exhibition area. As you enter the rampart walkway there is a simple sign reminding you that there is no way back. The towers at Framlingham each carry a number.